As a big fan of the Popolo group in Shanghai, I knew I’d be in for a good meal at Bar Centrale. 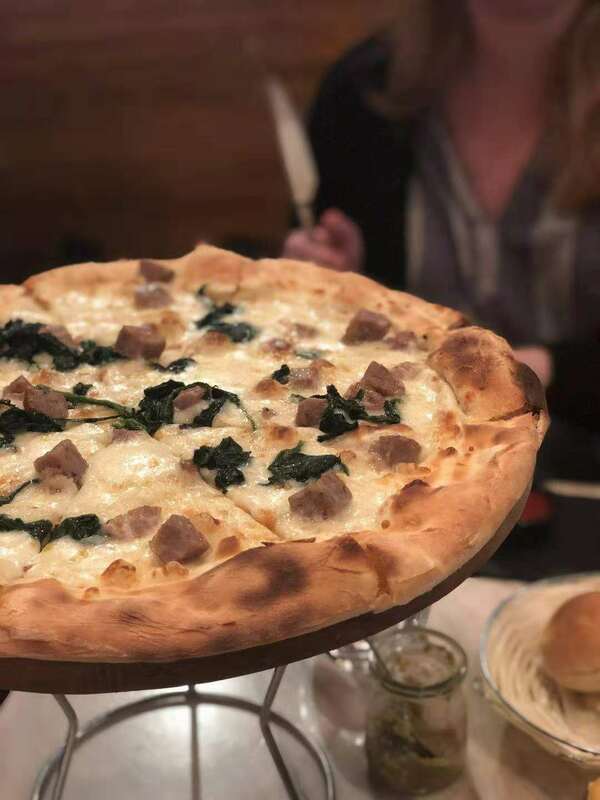 While Gemma is still my favorite choice in the group for Italian, Bar Centrale caters to a more casual crowd with affordable prices and accessible food. 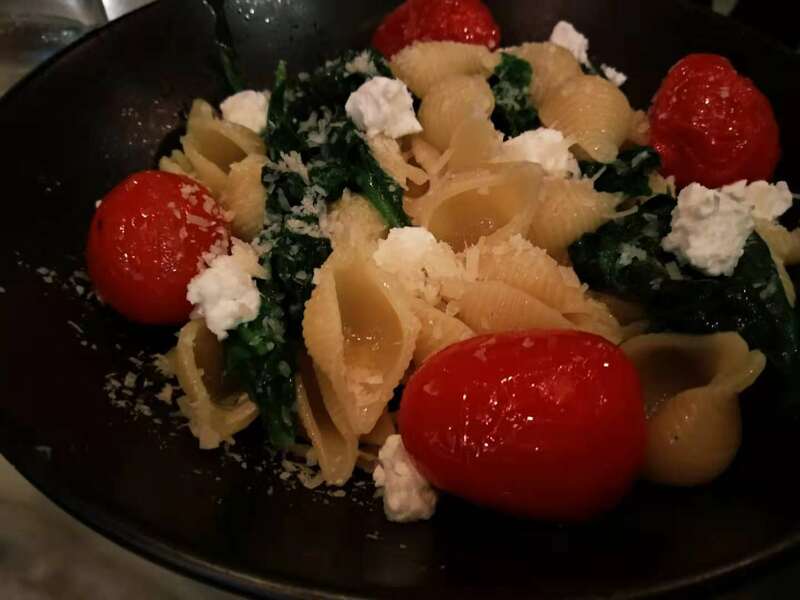 I went for the Spinach Pasta (RMB 78), while my friend opted for the Vesuvio Pizza (RMB 90). 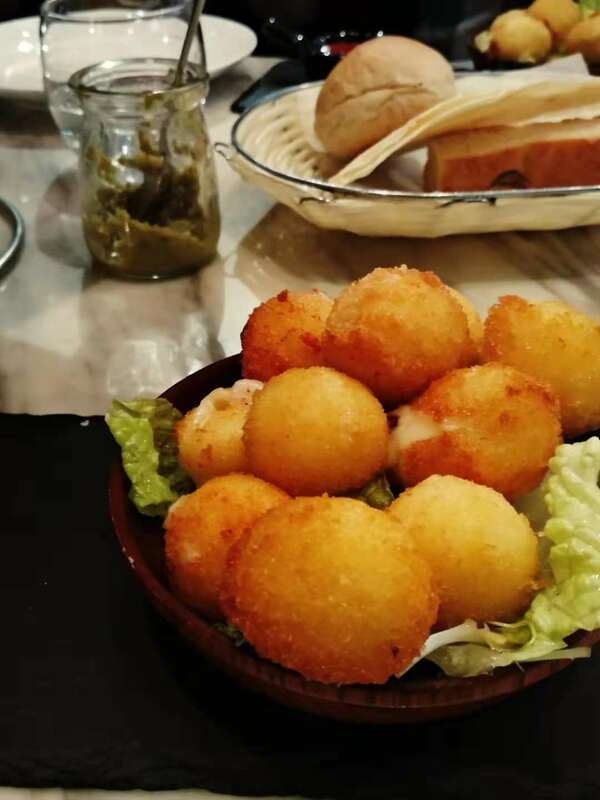 We also got two orders of Fried Emmental Balls (RMB 48) because we are greedy people who love cheese above all else, but we both conceded that one order probably would have been adequate. I regret nothing. Aside from our elation regarding the fried balls of cheese, the pizza was a hit with my friend. It was everything you could want in a pizza and hit the spot. All ingredients are fresh from Italy, and you can see the wood fire grill from the main restaurant. The spinach pasta was also tasty, but I do feel like it is something I could make at home. Worse, it’s something I would make at home. And I hate cooking with a firey passion of a thousand burning suns. So, overall, good, but I wouldn’t order it again. There wasn’t anything special about it. Simple can be a good thing, but in Shanghai, flavors need to pop for a restaurant to be remembered. Overall, I’ll certainly be back for dinner to meet some friends soon. The food was warming, the atmosphere lively, and I enjoyed it. Bar Centrale is where you go when you’re in the need for something aesthetically pleasing but comfortable.